This new campus centerpiece will be at the hub of academic activities and anchor the campus quadrangle. 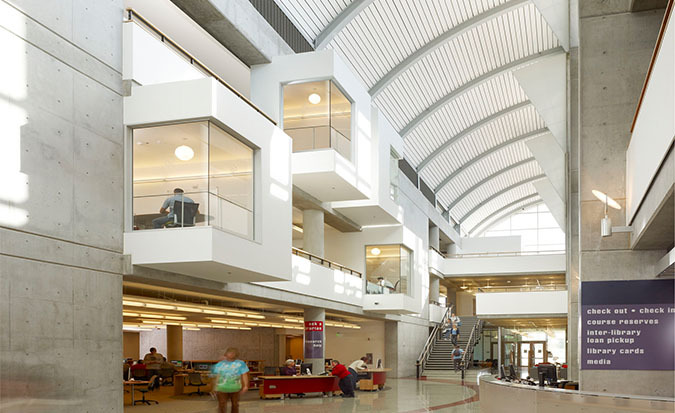 The program includes book stacks, 1,600 study nooks, 350 computer stations, a 24-hour computer/study room, a 200-seat auditorium, a 100-seat classroom, five small classrooms, 24 collaborative study rooms, offices, and a ground floor café. The library will also serve the community as a public library. The open 2,200 square foot reading room with adjoining catering kitchen and balcony can be used for community and campus events, special lectures, and exhibitions. 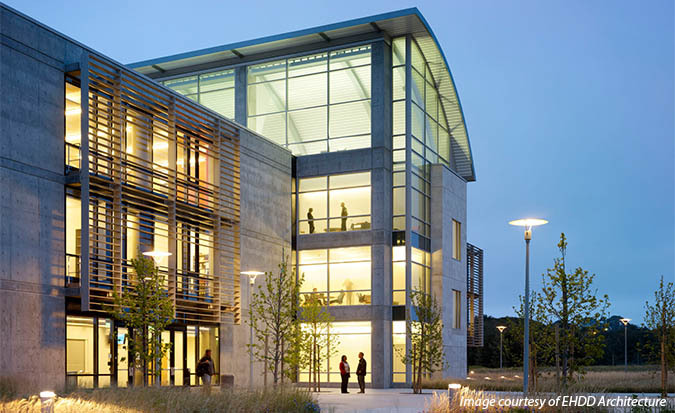 Our energy analysis influenced design of the building envelope and glazing systems for opti mum energy-effi ciency. Mechanical systems feature an underfloor air distribution system throughout, as well as an energy efficient central plant providing the building with its own chilled water utilizing a high-efficiency VFD chiller (0.29kW per ton). 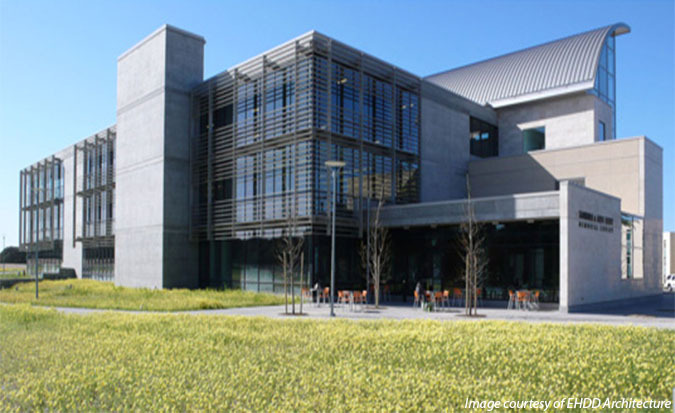 Our design exceeds California’s 2001 energy code by 30%.